From crispy to crunchy and a little thrilling, these are some best ways to start the day in the beach town. 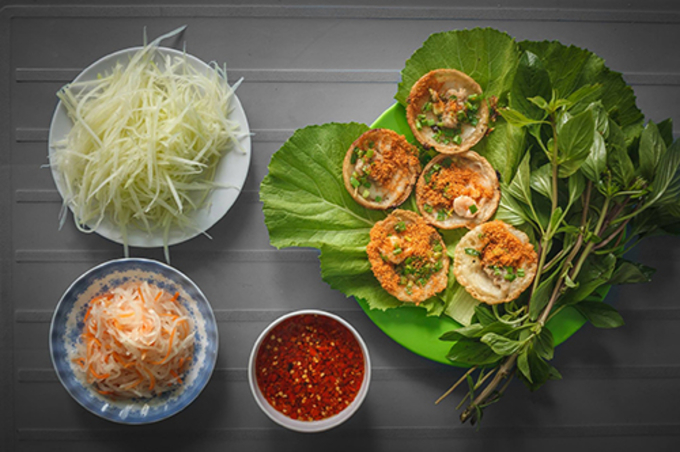 An important part of Vung Tau cuisine, banh khot is a famous savory dish that everyone has to try when they come to the beach town. 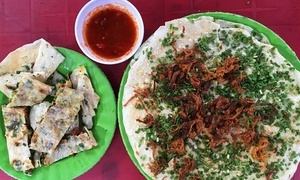 The tiny crispy pancake is cooked in small round molds, with other ingredients like pork, mung beans, shallots and coconut milk added on top. The rim should be slightly burnt to add flavor to the tasty treat. The cake is eaten by being rolled in fresh leaves and dunked in fish sauce. The southern dish has at least two versions. 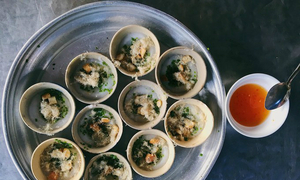 The Mekong Delta’s banh khot is softer, thicker and usually more yellow due to the addition of turmeric powder. Vung Tau’s banh khot is flatter and crunchier and is white, with shrimps and shrimp powder on top. 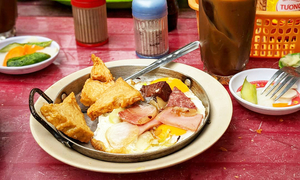 Goc Vu Sua is a famous spot for banh khot in Vung Tau, particularly thanks to the unique way they make it, on a huge cast iron oven. 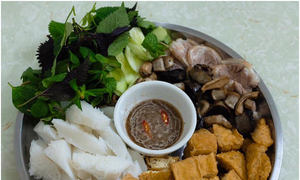 This thick Vietnamese rice noodle soup has its own place in Vung Tau cuisine although the ingredients are pretty simple. 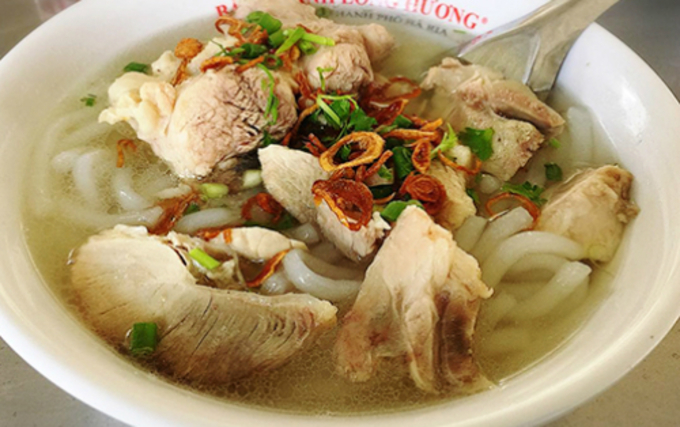 The rice-based, soft and chewy noodle is served with seafood broth and some slices of pork knuckles will get you food-struck from the first try. 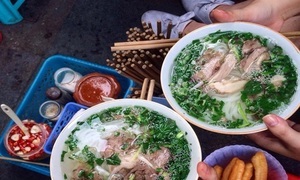 One bowl of soup costs VND45,000 ($1.98). 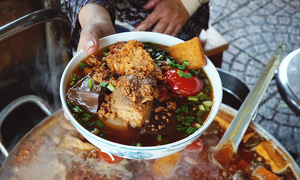 The soup can be found in many places here, especially the Vung Tau market. 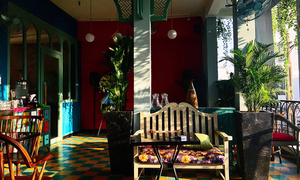 The famous tossing noodle restaurant Nghiep Ky on Ba Cu Street in Vung Tau is a family legacy that has won generations of tourists. 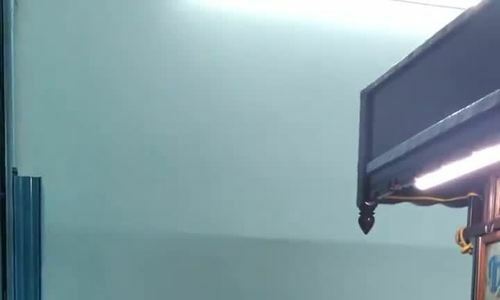 The chef would be tossing noodles up in the air to dry them up before putting them into a bowl, which is fun to watch. Many people come to this address for the extra act. The broth here is cooked with pork bones and ribs. The noodle is served with extra ribs or chewy beef meatballs. 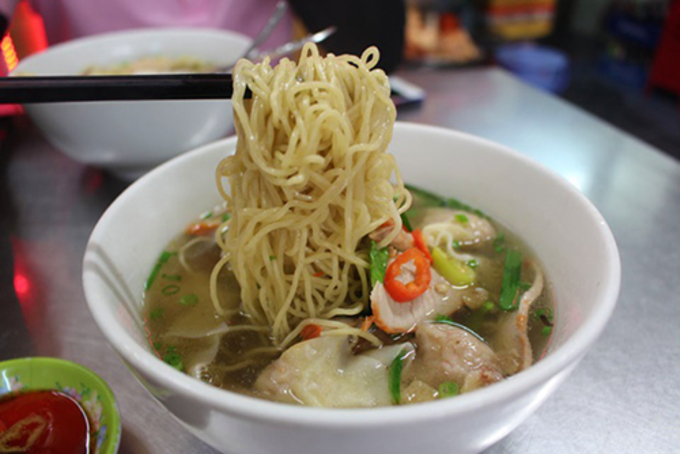 The noodles-wonton combination is the favorite of many.